Description of car for sale : Peugeot 2002 52 206cc Manual petrol Silver £3,800 90k miles, "Most History. Very Clean Lady Owner Car. 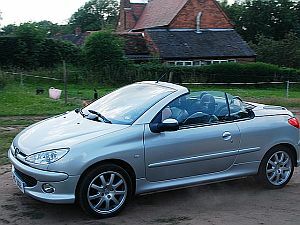 2.0 Ltr, All Electrics, Leather, Air Con, Cd Etc... Bargain Quick Sale Price... Dave_Osborne@Msn.Com"